Plantation shutters are items that are often overlooked when considering improvements for the home; however, they are an important part of home decoration and restoration. It is possible to install plantation shutters independently, but professional companies will generally perform a more reliable service. This is due to the fact that professional installers have the skills and equipment required for a high-quality installation. 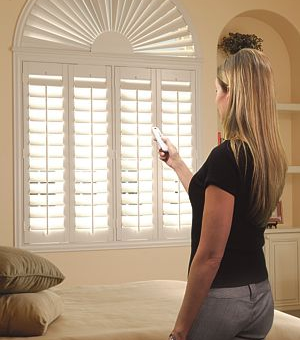 Of course, finding the most reliable plantation shutter company in Stuart, FL can be complicated. This article will provide information on the different considerations to make when choosing a trustworthy shutter installation company. The first point to consider when hiring a reliable plantation shutter company is how long they’ve been in business. A company that has operated for a long period of time with a positive reputation will generally have a high level of service. This is due to the long tenure and more than likely long list of pleased customers. Of course, while it is possible to hire an inexperienced company without many years of service this is not always the best option. A fresh company can be useful, but they will not be able to offer the stability factor or long list of satisfied customers. However, these new businesses should not be underestimated and they may be harder working than a long-standing alternative because they are still developing a reputation. This means that they will strive to please you as a customer and gain your trust to become a satisfied client. Any shutter company in Stuart that specializes in plantation shutters will have an ‘edge’ over generic shutter companies. A company focusing on a particular type of shutter will certainly produce a higher quality of product if you are opting for that particular kind of shutter. It is commonplace for people to opt for an expert in one area rather than using the services of a professional with a generic grounding. Always examine the type of specialism offered before hiring the shutter installer to ensure they meet your requirements and will offer the best service needed. A reliable company is one that responds directly to your inquiry in a timely manner. From the beginning of the inquiry to the verification phase, a trustworthy company is one that is available to you when you need them, any time. They can provide alternatives regarding quotes and estimations; as well as offer revisions on the shutter orders with suggestions on alternative styles or designs if needed. All this can be determined by reading testimonials regarding the company’s contact quality and sending an initial consultation inquiry. Making the proper shutter selections and choosing a quality installer requires many considerations. By examining the plantation shutter company’s time in business, expertise and quality of support available, it is possible to find the ideal company to manage your shutter specifications.